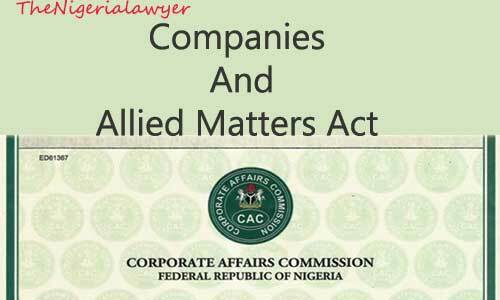 7 Benefits of the Senate’s New Bill -#CAMA – Royal Times of Nigeria. 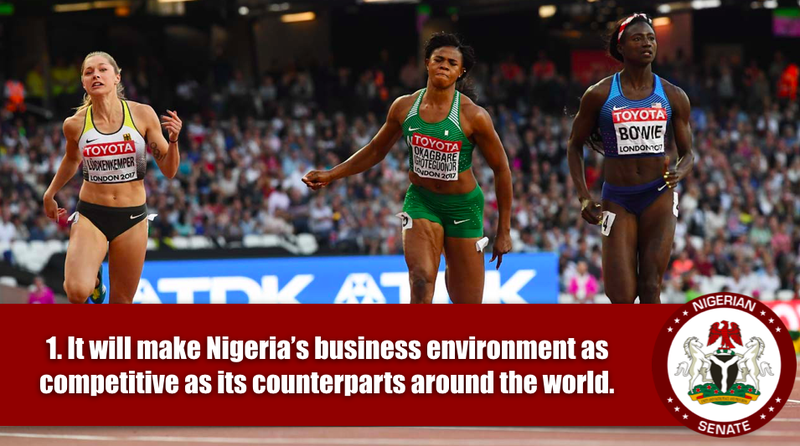 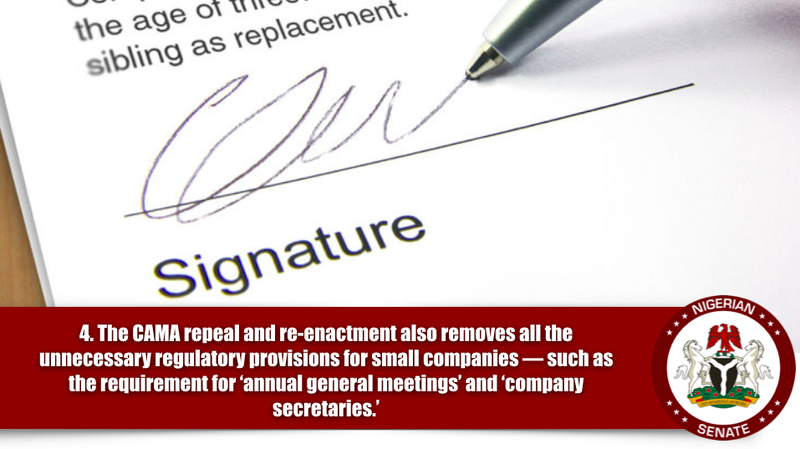 On Tuesday, the 8th Senate made history with the passage of the repeal and re-enactment of the Companies and Allied Matters Act (CAMA), which is the biggest business reform bill in Nigeria in over 28 years. 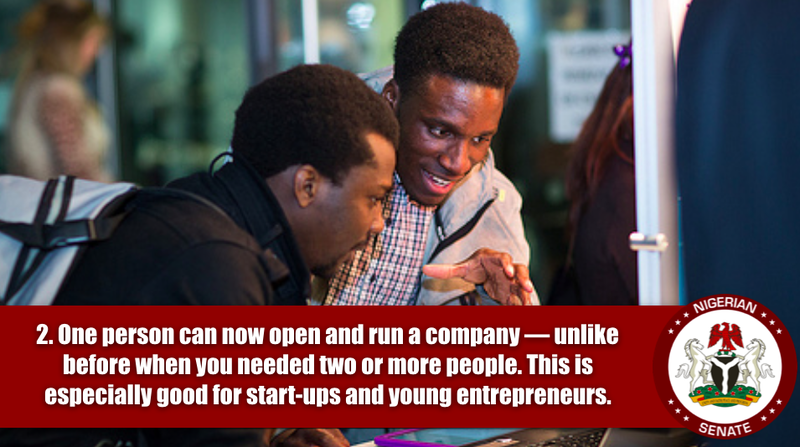 With CAMA, one person can now open and run a company. 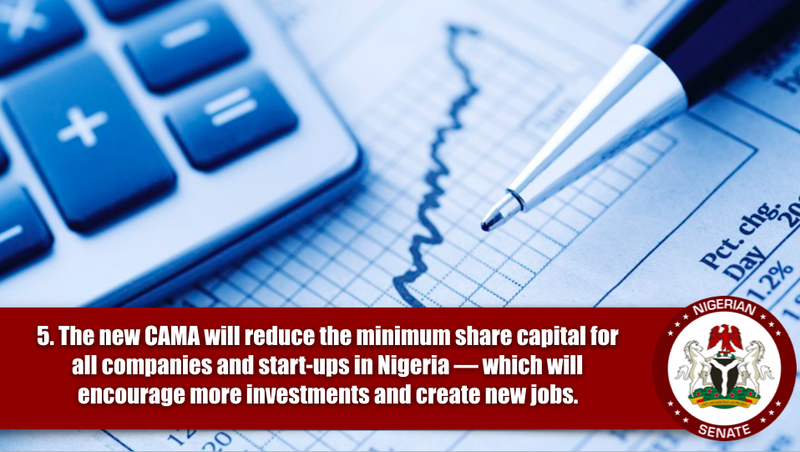 This is good for start-ups and young entrepreneurs. 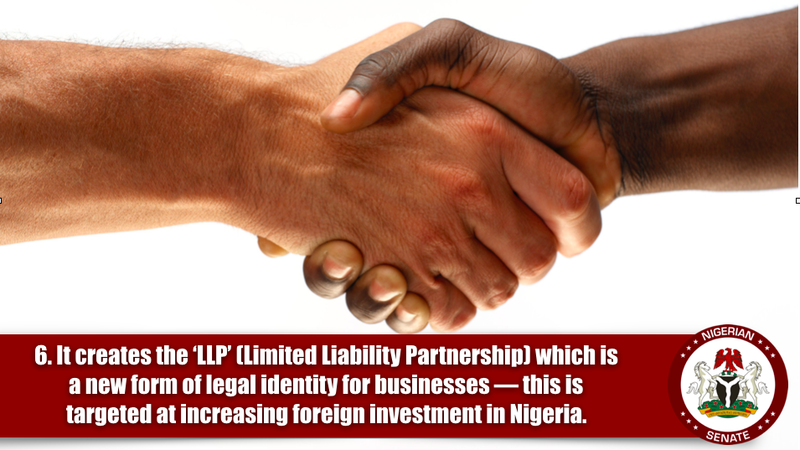 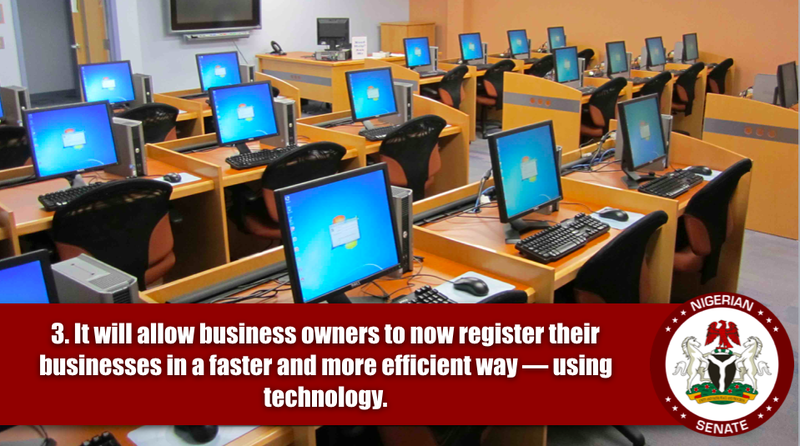 It promotes the use of technology in the registration of businesses. 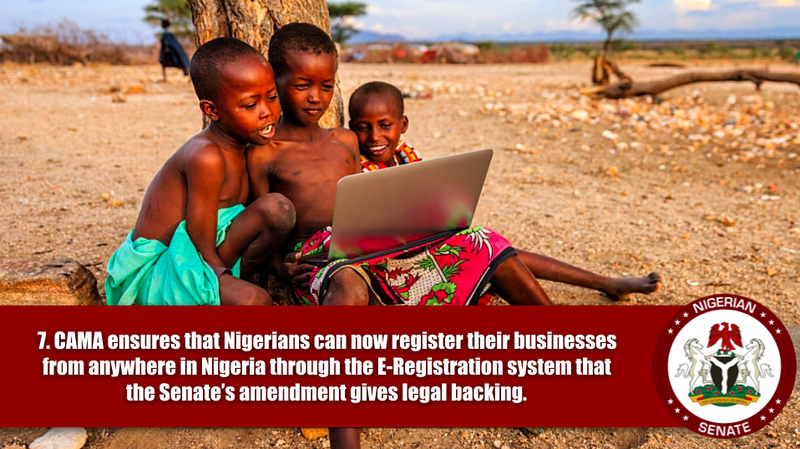 It ensures that Nigerians can now register their businesses from anywhere in the country through the e-registration system.